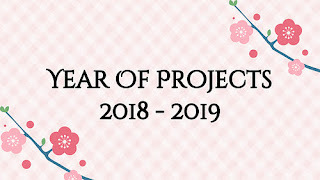 Year 8: A Year of Projects.... Maybe I can make it past July ;). I definitely get more done when I make a list/post about it so I need to give this a shot again. The Calliope Boho Top is first on my list. 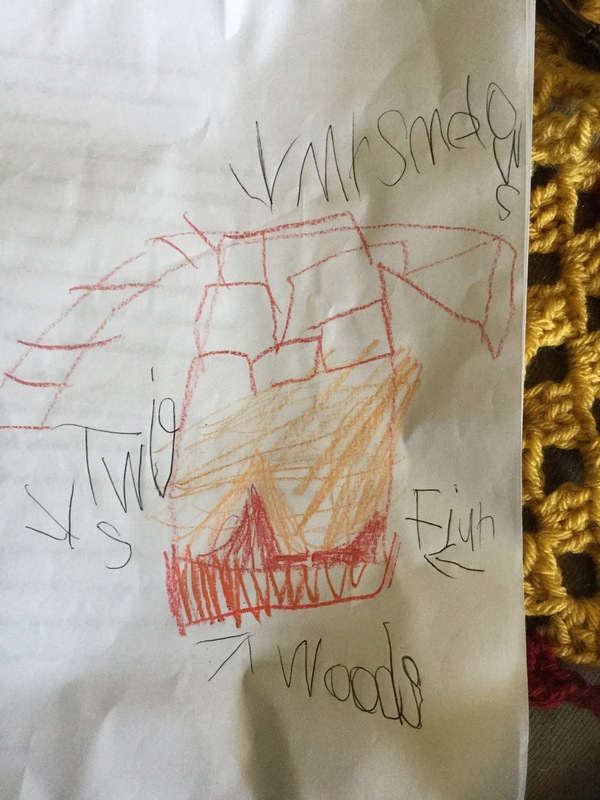 I started it last week. I hope to have it done by the end of the month. 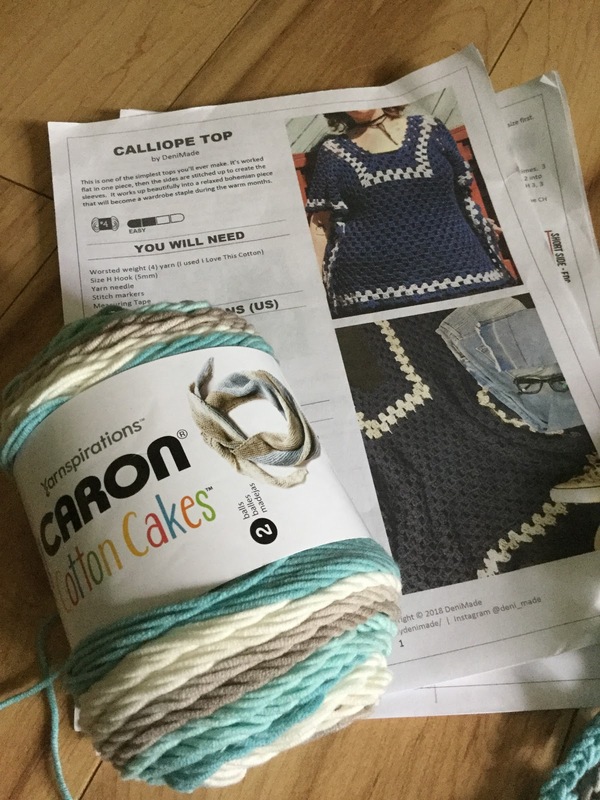 This is the first time I’m using Caron Cotton Cakes and I’m loving it! It’s so soft. My goal is to add this top to my back to school wardrobe. I’m also going to try and work on my Evergreen Tunic. This is the second one I’m making. I made one a few years ago and love it. It’s oversize and super comfy on a cold winters day. 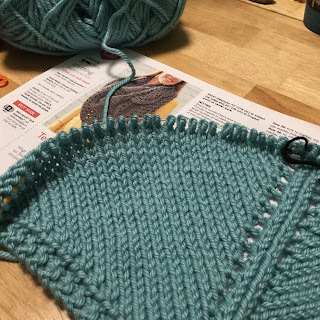 So far I’ve cast on and done the back band. Not quite sure how much more will get done this week as they are forecasting a week long heat wave here in New York. 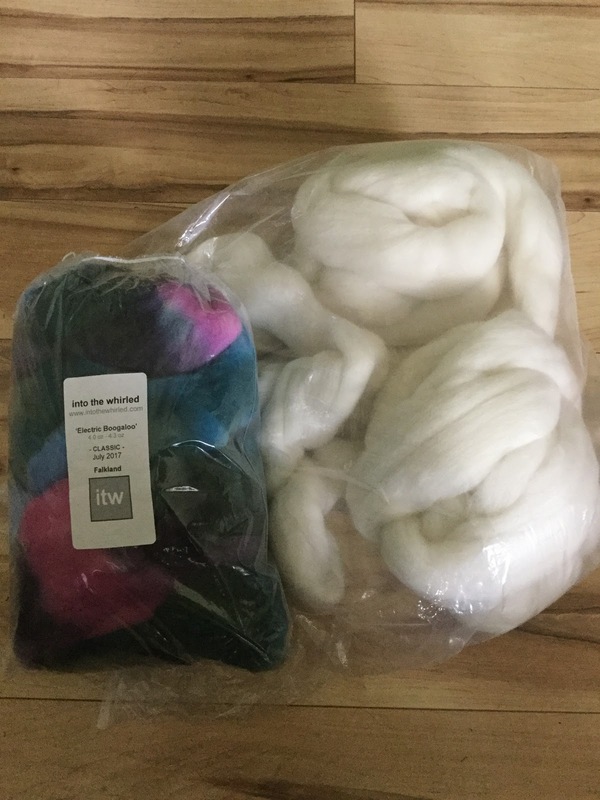 My other focus will be Tour de Fleece this month. I’m not sure if I’ll be joining a team, but my knitting group will be getting together and participating. I’ve just learned to chain ply so my goal is to spin a pound and chain ply it. I’d like to figure out how much yardage I can get from a pound. Eventually I’d like to knit something from my hand spun. It's hard to believe we're already going into Week 4. So far it's been good for me. I've completed more since July 1, than I did in the last three months. Today is the last day for Tour de Fleece. I'm very happy with what I was able to do during this time. 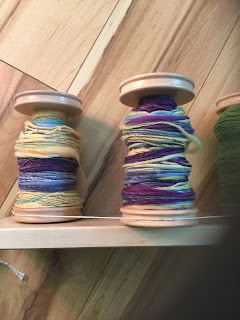 This week I plied two yarns and filled two bobbins with singles. 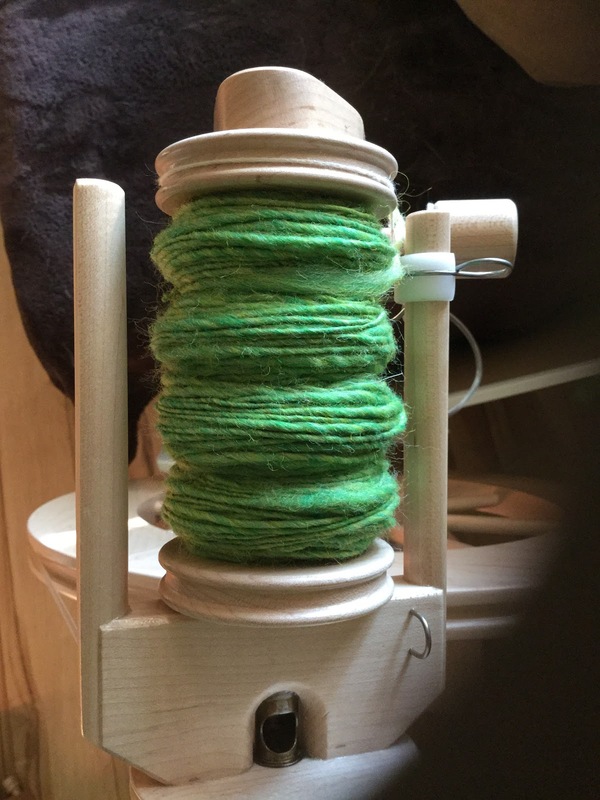 I've got a bobbin on the wheel still, but it's unlikely I will get to finish it today. 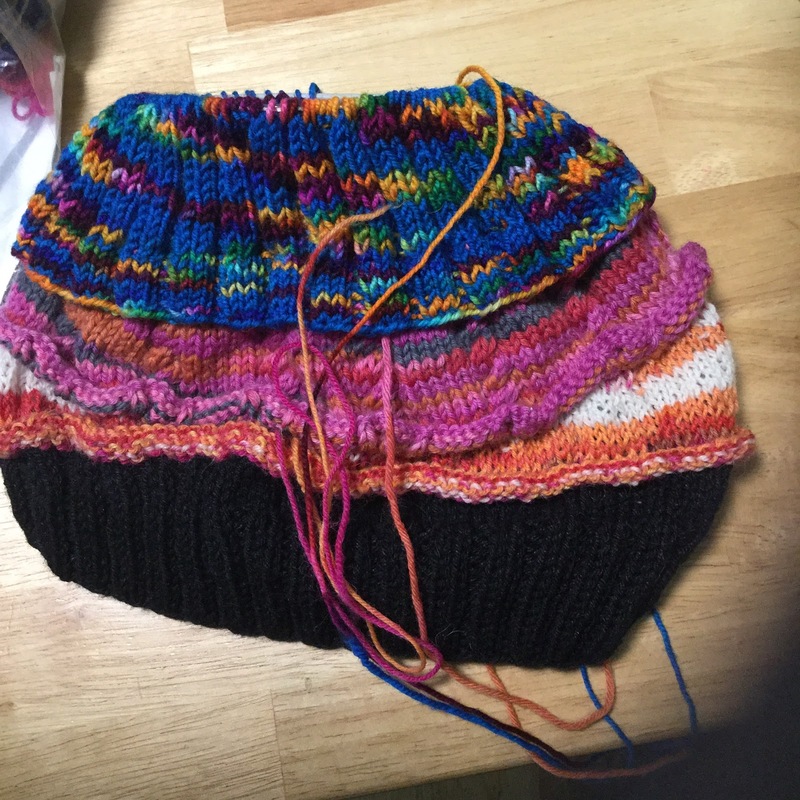 I need to recalculate the yardage of the two new yarns as I misplaced the paper that has that info. Crochet seems to have been my craft of choice last week. 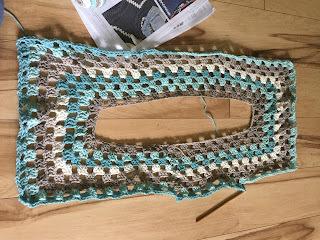 I added a little bit to my Campfire Cardigan and started a new project. 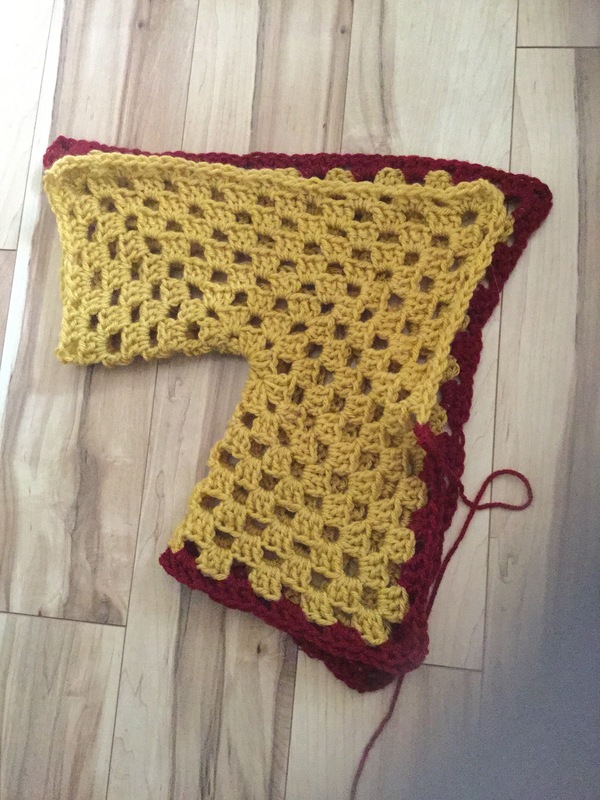 It's the Lion Brand Crochet Openwork Shawl. My husband and I have a dinner in a few weeks and I need something for the air conditioning. This jumped out at me when I was shopping at Michaels. 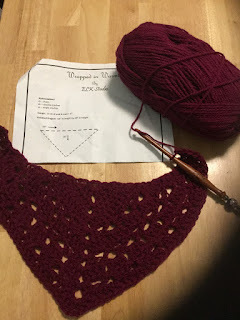 It's the first time I'm using Lion Brand's Shawl in a Ball and I'm really enjoying it. I think the colors will be great against my black dress. Well, I'm off to check out what everyone else has been up to this past week. Enjoy your week! The CGOA had a Chapter Challenge recently. They challenged chapters to crochet 7x9 rectangles for Warm UP America. 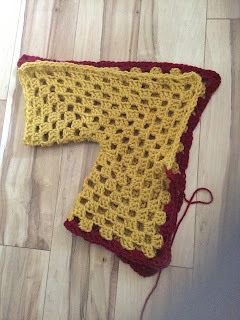 My chapter participated and crocheted a lot of rectangles. Since I wasn't able to participate in the crocheting of rectangles, I picked up a bunch of rectangles to sew together on Sunday. Once we sew them all together the blankets will be donated locally. So, I've added a new project to my list. This week was a productive week! 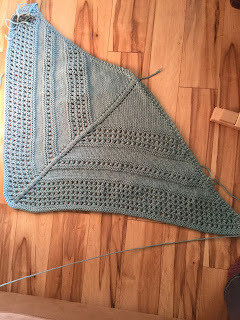 The Textured Shawl is finished. Ends have been woven in and she's ready to wear! 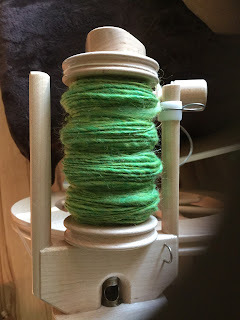 Lots of spinning for the Tour de Fleece this week. 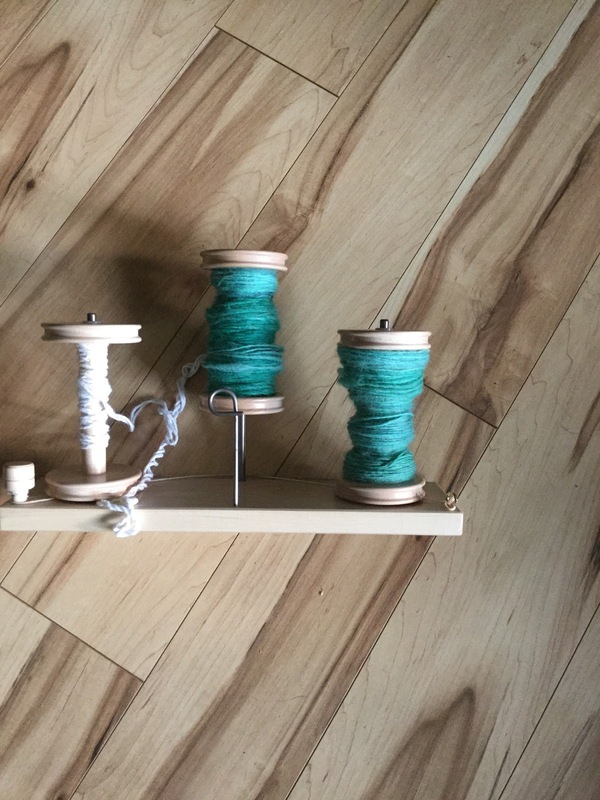 I filled all my bobbins with singles so it's time to ply. 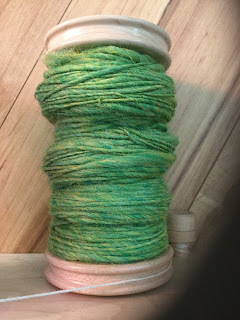 Another Into the Whirled fiber club spun and an unknown green wool. The Into the Whirled was the May 2017 'Merlin's Beard'. 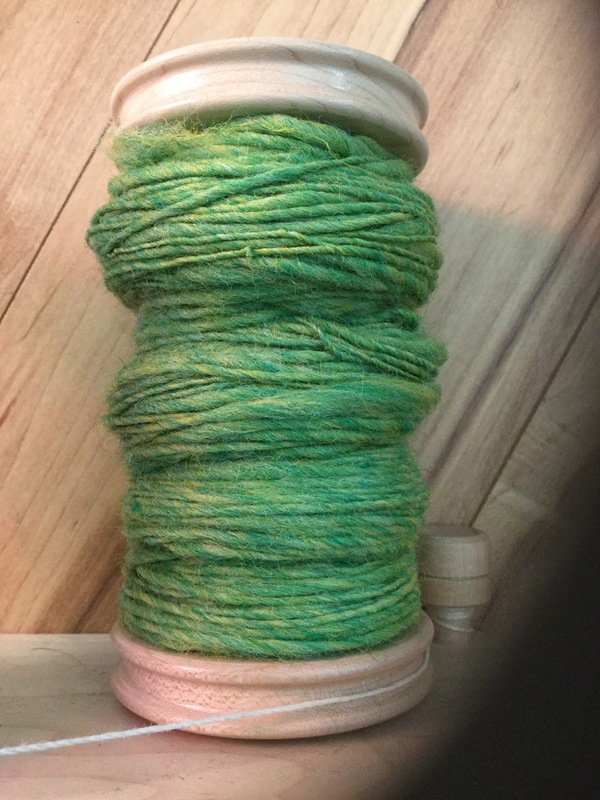 It's 4 oz of Merino. It's been a productive week. Starting at the top of my goals list with the Textured Shawl. 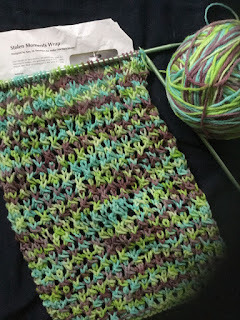 I've got 10 rows left. I'm hoping to finish it this week. ELF cap KAL: my knitting group is doing this as a KAL. Five of us are participating. 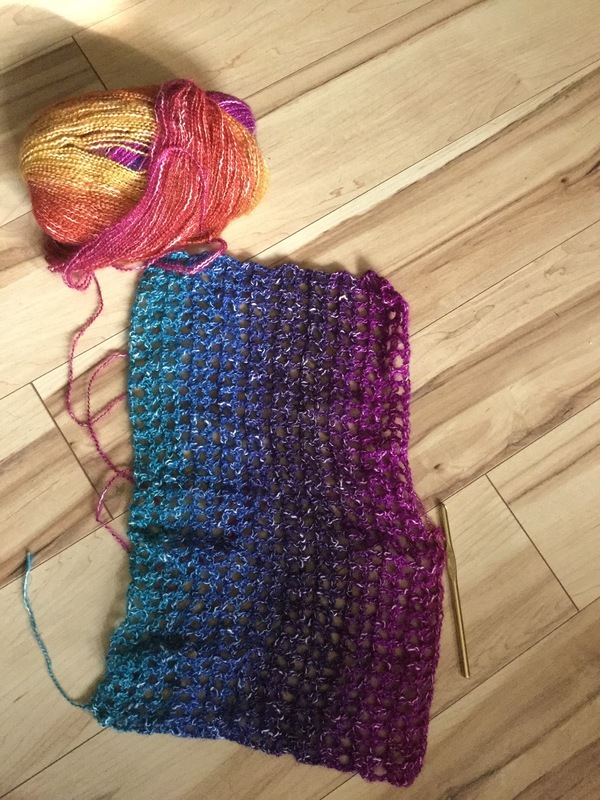 We each took a skein of yarn from stash for this project. 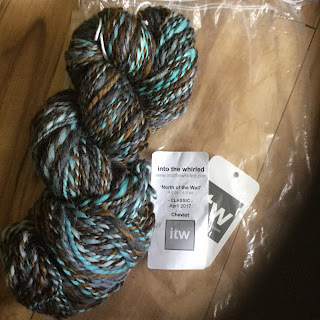 We've been switching yarns monthly. 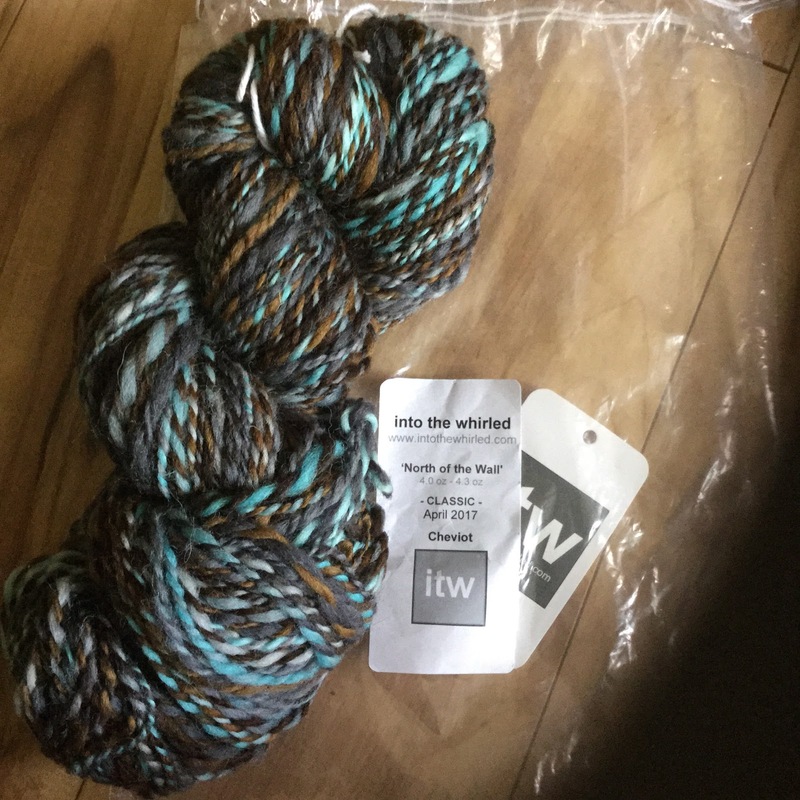 On Friday I received my final yarn for the last section. I'd like to work on this this week and finish it ASAP. Experiencing some technical difficulties with these photos....hopefully it'll be resolved soon! 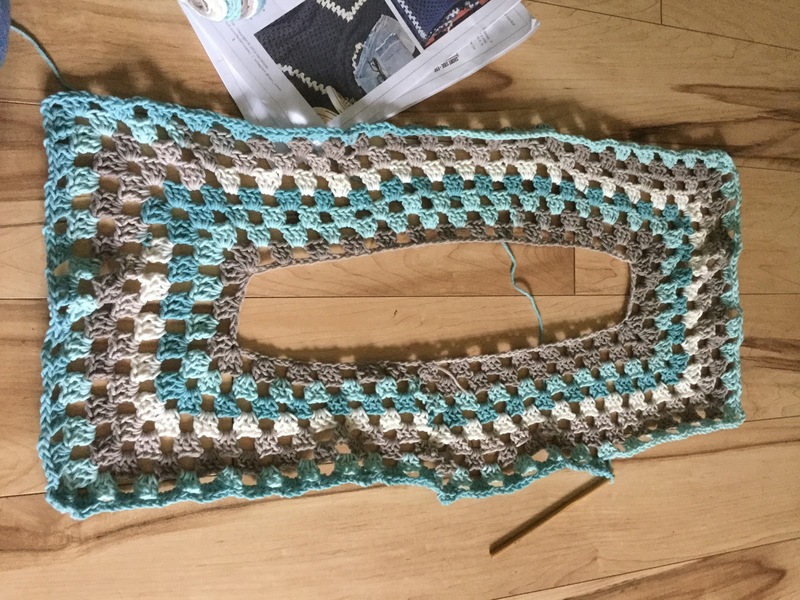 A Year of Projects 2017-2018: Third Times a Charm??? Let's hope this goes better than last year. I keep saying it, but I've really got to get my stash under control! It's gotten to the point where I'm overwhelmed by it. 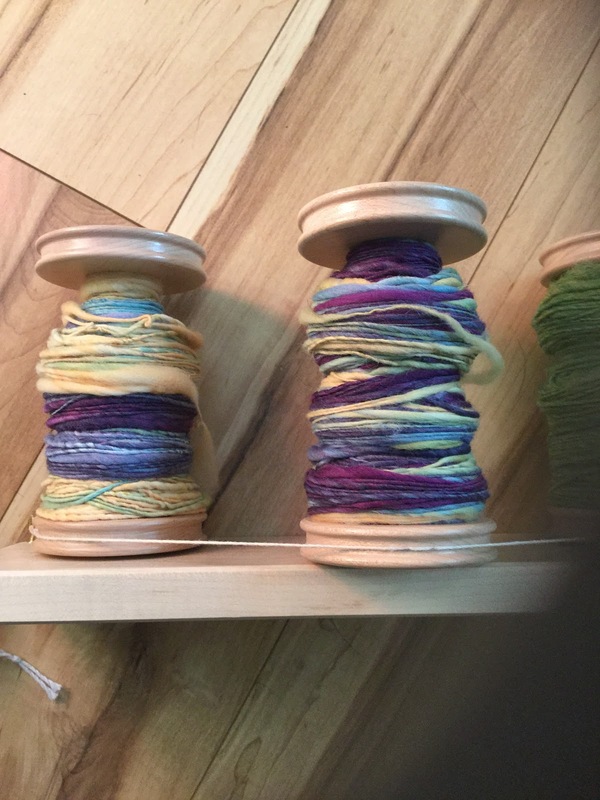 In January I got a new spinning wheel so now I've really started adding fiber as well. Something has to give, lol. I'm going to keep my goals short term, I work better that way. As long as I can get some stash used up, I'll be happy. I'll start here by posting quarterly goals. 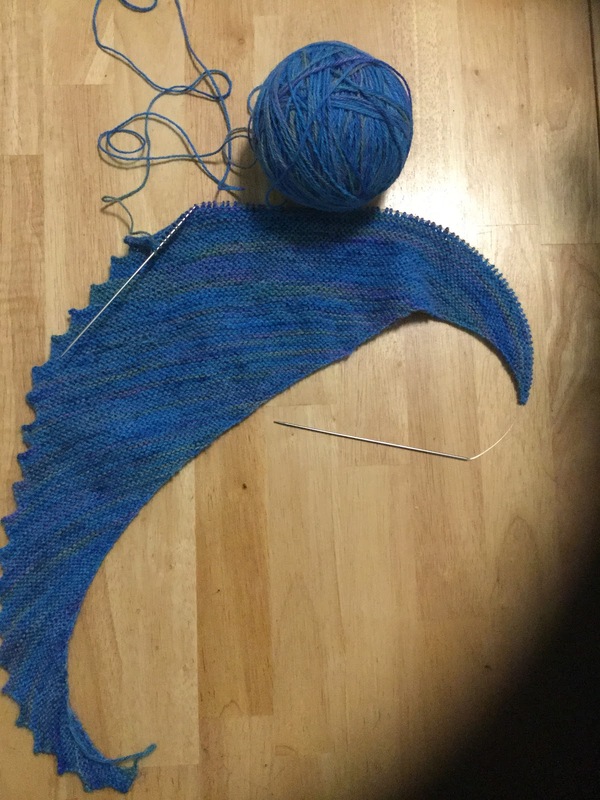 I'm currently participating in a summer cal/kal in a stash busting group I'm in. 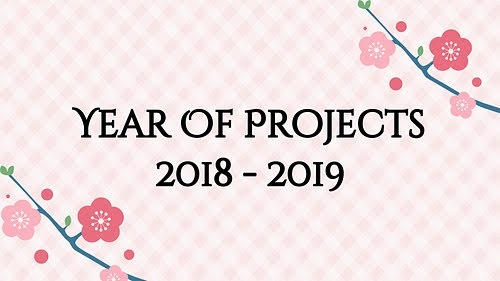 The goal is to complete 13 projects in 15 weeks. It started in May, but I just joined in last week. I'll be happy completing anything. I've also signed up for the Tour de Fleece. So for the month of July the goal is to spin everyday. (I believe there are 2 days of rest.). My first update and I'm already making changes to my list, lol. I've decided not to participate in the Picnic Basket CAL afterall. 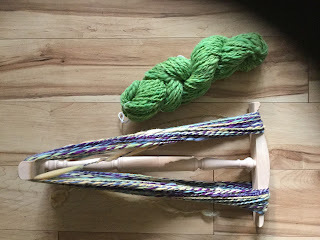 I think I'm going to replace it with my Celtic Cables Craftsy Class. 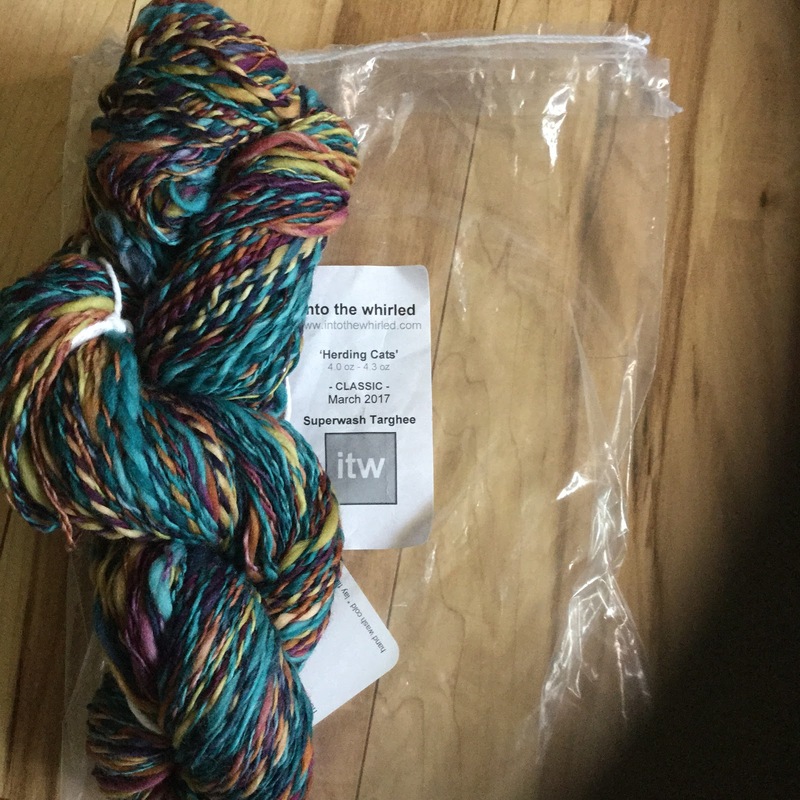 The yarn for that is already in my stash and summer vacation seems like a good time to start the class. There was not much knitting/crocheting this week. I managed to add a few rows to both my projects but that's about it. Summer vacation has been busier than expected. It should let up a bit after this week. 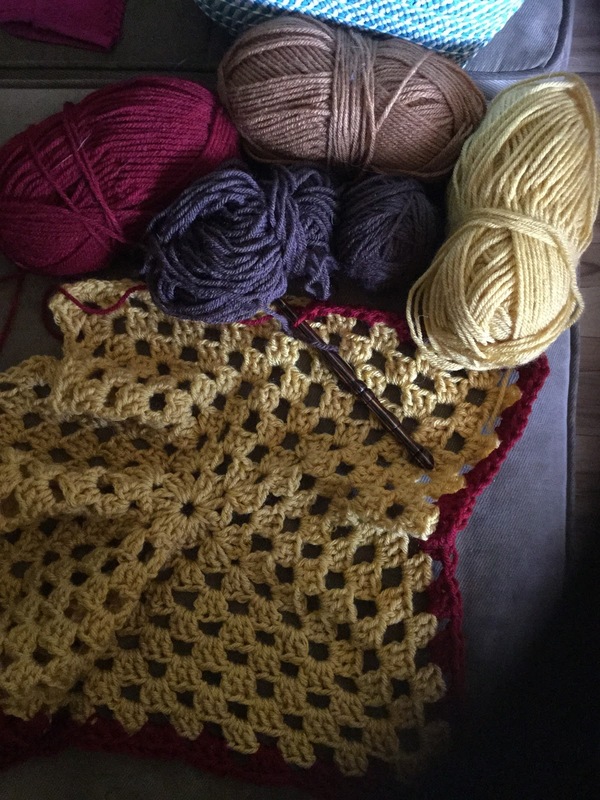 I was able to get through my UFOs basket and picked two projects to complete this quarter. 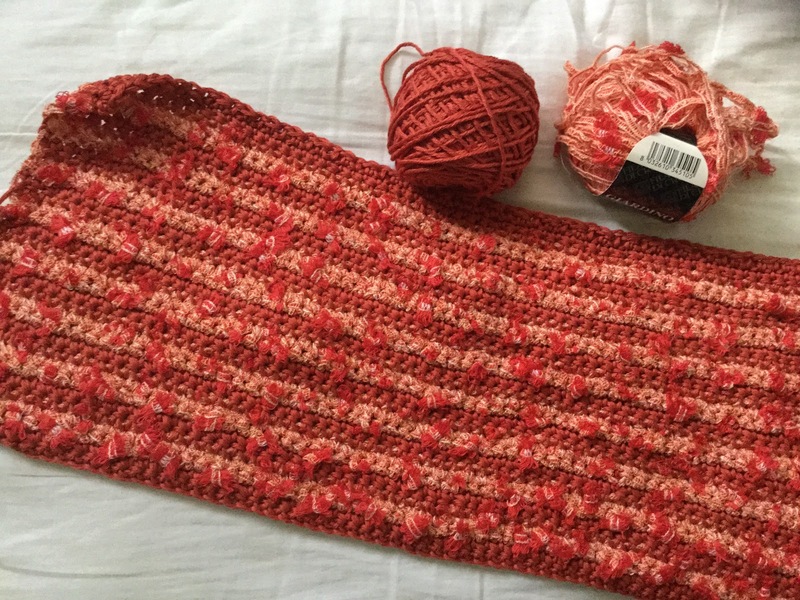 There's no pattern for the orange project. It's going to be a bag, I'm just making it up as I go along. When it was started the goal was to use up the Orange yarn. The next UFO up is the Stolen Moments wrap. The yarn is Fishermans Wool by Lion Brand. I dyed the yarn with Kool Aid a few years ago. 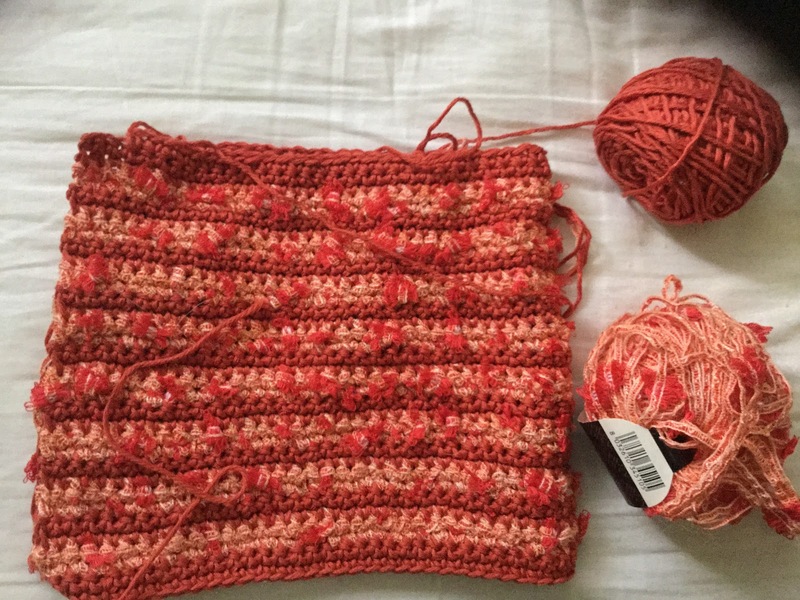 This week's goal is to spend at least 20 minutes a day knitting or crocheting. It's the only way I'm ever going to get any of these projects finished.